The Valken's new Zulu Hard Knuckle Gloves give you full coverage during play. A hard polymer shell covers your knuckles providing you maximum protection from BBs. In addition to the hard shell, the joints themselves are reinforced with additional padding to help protect your second and third finger joints. 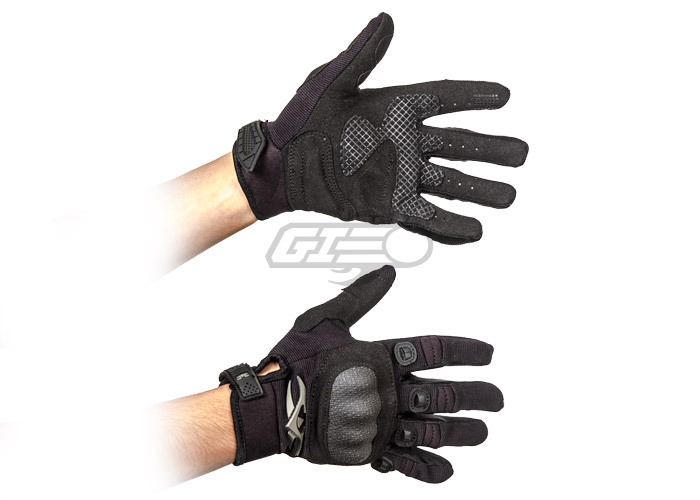 Silicone gel grips located in the palm and index finger will add traction for added purchase on the weapon, perfect for wet or muddy situations. Additional padding has been added on the heel of the palm and the thumb for a solid and comfortable fitment. The hook & loop wrist closure provides solid retention.